This has been an eventful summer and fall. The aftermath of both natural and man-made catastrophes will continue to affect Louisiana and LSU for many years to come. And yet a few months later we keep going full sail in the spirit of the Cajun Navy: the faith that with a combination of courage and perseverance, resilience, creativity, skill, and by working together, we will “let the good times roll” again. The emergence of our community out of these storms brings to mind the motto of the city of Paris: fluctuat nec mergitur—a Latin phrase meaning tossed but not sunk. The maxim originated over 600 years ago with another French navy, the boatmen of the River Seine, the backbone of commerce and economic life who dealt with similarly choppy waters in the City of Light. How fitting is this motto for LSU in 2016, Louisiana’s flagship university and home to the state’s largest programs in art and design? The lives and professional trajectories of our alumni are the best proof that we give our students the skills to not only navigate change without sinking but to also affect the kinds of changes that make the world a better and more “unsinkable” place. We share some of these alumni stories in the pages ahead, where you’ll read about alumni working in affordable housing, historic preservation, conservation, and international aid. This issue is dedicated to the artists, designers, students, and faculty who make our world a better place, who show up in times of disaster and chaos and work to provide thoughtful solutions to restore and revitalize post-disaster sites; to those who help preserve and conserve our history and culture and who see opportunity in disaster for teaching and learning. Elle est agitée par les vagues, et ne sombre pas. She is tossed by the waves but does not sink. experience help us understand place? of all types. And we city dwellers return to the countryside to rejuvenate, enjoying the sights, smells, and sounds of nature. We relish foraging in the urban farmers market. In other words, we intuitively seek out nature experiences. Yet we don’t always design as if we know this simple fact—too many of us live, go to school, and work in environments devoid of nature, with serious consequences to our health and well-being. Extensive research on nature experience shows that connection to daylight, views, green plants, outdoor green space, large trees, and water enhance physical, social, emotional, and cognitive well-being (for an extensive summary of research, see Biophilic Design: The Theory, Science and Practice of Bringing Buildings to Life, edited by Kellert, Heerwagen, and Mador). Key benefits of nature contact, supported by hundreds of research projects, include: reduced physiological stress associated with nature images, window views of nature, as well as being in an outdoor environment, especially one with large trees; improved cognitive functioning associated with attentional restoration resulting from an intuitive positive response to non-threatening nature; reduced rumination and worry linked to walking in a natural environment versus an urban area with little or no nature; enhanced mood and relaxation, especially associated with sunlight, water, plants, and flowering vegetation; and improved physiological health (including respiratory, circadian, and ambulatory functioning) from indoor plants, well-designed daylight, and circulation systems that encourage climbing stairs and movement between spaces. The design palette for biophilic environments is rich and varied, with many options for enhancing human experience. The following design principles provide an evidence-based guide for creating environments that enhance human health and well-being. 1. Incorporate nature and natural processes into design from the beginning—features and elements known to have positive benefits, such as large trees, flowers, variety of local vegetation, fish tanks, sunlight, and water. 2. Design for geographically relevant biodiversity. In garden and outdoor spaces, create biologically diverse plant communities using geographically and climatically relevant species, especially those that restore local habitats. 3. Design for all the senses. Humans experience the environment in multisensory modes, including touch, smell, hearing, vision, and taste, as well as color. Built spaces should aim to incorporate features and attributes that contribute to sensory richness and variability. 4. Integrate nature and natural processes throughout building spaces, not just at the entrance or window wall. Important natural features and elements that should be widely available to all include daylight, sunlight patches, sensory transitions, breezes, views of the outdoors, and interior vegetation. 5. Use natural forms to reinforce sense of connection to the natural world at multiple levels of awareness. Fractal patterning, naturalistic spatial variability, and natural materials can all be used to “naturalize” building spaces at many levels of abstraction and awareness. A study of the Herman Miller Greenhouse in Holland, Michigan, found significant positive impacts of biophilic design on employee well-being. 6. Create permeable boundaries and a multiplicity of connections between the interior and exterior of buildings. Permeability can occur through operable windows, doorways, connections to outdoor plazas and gardens, and terraces, as well as through glazing. 7. Provide an integrated and meaningful pattern of prospect and refuge. The ability to see into spaces and to the outdoors (prospect) supports mental rest and situation awareness, while places for withdrawal (refuge) support privacy and mental rest. The patterns of prospect and refuge are foundational and form the geography of space. Judith Heerwagen, a research psychologist with the U.S. General Services Administration’s Office of Federal High-Performance Green Buildings, co-edited Biophilic Design: The Theory, Science and Workspaces in Federal Center South have views to daylight, vegetation, and indoor plants nestled between the workstations that overlook the atrium. Practice of Bringing Buildings to Life. Heerwagen presented a Paula G. Manship endowed lecture at the LSU College of Art & Design in November 2016. It didn’t have a catchy name. It wasn’t a hurricane or a superstorm. It was just . . . rain. Left: Jolinda Webb’s photograph highlights the juxtaposition of a gutted house and a homey, family kitchen. Top: Note the water line along the statue of Mary on the porch of a private residence in Lafayette in Emily Hargis’s photo, Mother Mary. etween August 8 and 14, a seven-trillion-gallon deluge pummeled Louisiana, inundating 20 parishes with enough water to fill 10.4 million Olympic-size swimming pools. Baton Rouge was pounded with more than 19 inches of rain; Livingston Parish received more than 2½ feet, according to the National Oceanic and Atmospheric Administration. Officials reported 30,000 people were rescued and 11,000 sought refuge in shelters. The number of homes, businesses, and buildings damaged? We’re still counting—but in Ascension, Livingston, and East Baton Rouge parishes alone, approximately 92,750 structures were damaged by the flood, resulting in at least 4.8 million cubic yards of debris. LSU classes commenced days later, amid a state in chaos, reeling from the effect of the historic flooding event. Enrollment was down. Local schools were closed. Affected students, faculty, and staff needed time to recover. Anyone who wasn’t directly affected by the flood most likely had at least one friend or family member who was. Many chose to volunteer at shelters, churches, or aid organizations. 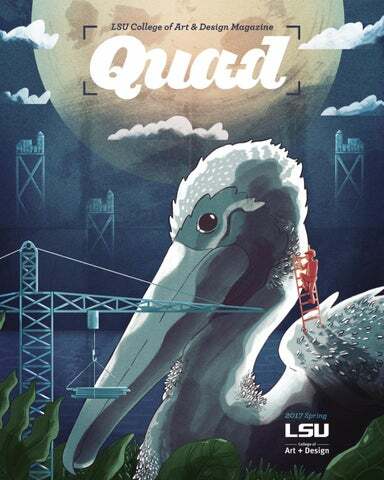 At the LSU College of Art & Design, we saw opportunity through the upheaval—the opportunity for research, learning, documentation, outreach and communication, even commemoration. first project to help in some way—to begin a conversation about representation and how photography can fill the gap between reality and the lack of media attention.” The students were instructed to document the effects of the recent flooding, keeping in mind their roles as image-makers. Students compiled research on Hurricane Katrina, Superstorm Sandy, sea-level rise, and storm surges, as well as the causes and effects of the recent “cloudburst phenomena” (how Kinder refers to these 1000-year flooding events) in Louisiana and the Gulf Coast. They compiled an informational video, “Deluge Baton Rouge,” on their research, which Kinder presented at the ASLA Annual Meeting & EXPO in New Orleans last October. Top: Buffalo Bayou Promenade is one more accomplishment in SWA’s goal to turn Houston from a city of roadways into a city of riverways. © SWA. Photo by William Tatham. Left: SWA’s Buffalo Bayou Promenade includes lunar lighting that can withstand flooding. © SWA. Photo by Tom Fox. Right: Buffalo Bayou Promenade. Today, the formerly trash-strewn waterway teems with wildlife and pedestrians. © SWA. Photo by Tom Fox. “In every disaster there is an opportunity.” ships, seek financial support, and provide additional research through project support or design studios—which create learning opportunities for students. For example, Traci Birch, an urban planner and assistant research professor with CSS, engaged two classes in an exploratory planning project for Mayor Bob Hardy of West Lake, a bedroom community of Lake Charles, Louisiana. Located along the Calcasieu River, West Lake is prone to flooding from frequent storm surges, is surrounded by petrochemical plants, and has seen its downtown deteriorate due to disinvestment. As the small town currently has no master plan, Birch saw an opportunity to provide students with real-life experience while showing West Lake a number of creative strategies for revitalizing their town. As a semester-long project, Birch’s third-year landscape architecture studio focused on redeveloping a 108-acre site along the river into a waterfront park, and her fourth-year architecture studio worked on a main street project for the town’s historic Miller Avenue. “Getting involved with a community that has a real-life problem to solve is a great opportunity for students,” shared Birch. “Engaging a mayor in this way raises expectations, and the students respond with really fantastic ideas that help the mayors think outside the box and create public excitement and interest.” The landscape architecture students addressed the bulk of the work, designing a large-scale site plan for redeveloping the small community. The site plans incorporated housing and commercial spaces, included a waterfront park with multiple features to create community cohesion, redeveloped derelict land, and helped with storm surges and runoff. They had to consider amenities for the city’s current residents while also imagining what the city could become. Opening their minds to possibilities, Birch took the students to New York and Boston to visit Brooklyn Bridge Park and parks built since Superstorm Sandy and to experience installations like the Rose Kennedy Greenway. Birch’s architecture students looked at Miller Avenue, West Lake’s historic main drag. Considering the street’s historic uses and maintaining access to the waterfront, they created more of an architectural-focused plan that considered how to mass residential and commercial properties. Both studios presented their work to Mayor Hardy at the end of the semester. Birch compiled the students’ work into a book that can be used to identify common threads and key components for consideration when the mayor begins redevelopment. these design challenges and adapt existing architectural strategies found in coastal construction, such as raised-level homes found in camps in South Louisiana, into solutions more appropriate for established neighborhoods. Driven by a desire to preserve the history and character of Tiger Town—one of the true, walkable areas of Baton Rouge, a vibrant community of retail shops, restaurants, bookstores, and nightlife with residential homes, apartments, and condominiums, all steps from LSU’s North Gate—WHLC Architecture embraced these new design challenges. “Designers have an opportunity to help find solutions that enable our communities to remain vibrant and flourishing in the face of a changing environment,” said Micah Morgan, a project architect at WHLC Architecture’s Baton Rouge office. Micah, an alumnus of the LSU School of Architecture, and WHLC President Russell Washer designed the Lofts at Ivanhoe, a boutique infill development in the historic Tiger Town neighborhood. “We were the first that I know of to propose a new solution for development in Tiger Town since the floodplain was changed,” shared Micah. “We were able to meet the code requirements and keep the units out of the floodplain, while staying true to the character of the neighborhood.” The entire first floor of the condominiums serves as gated garage parking for residents; all living spaces are located well above the risk of water damage. Micah has extensive knowledge of zoning and development regulations and an expert understanding of design technology. He received his Master of Architecture from Rice University, where he wrote his thesis on the surface parking lot population of Houston, proposing a design schematic that would promote a more symbiotic integration between the surface parking lot and other environmental systems within the city. He argued that we are often, “changing the micro-climate of the area due to the way we develop.” For example, impermeable surfaces like concrete and asphalt parking lots and transportation corridors exacerbate flooding. Clay for Louisiana When Jodie Masterman, Naomi Clement, Joelle Ferrara, and Catherine Velasquez, all members of the LSU Ceramic Art Student Association (CASA), became aware that not only were several classmates affected by the historic flooding events of August 2016 but that their local ceramic supplier, Southern Pottery/ Alligator Clay, sustained massive damage in the flood—they mobilized. “We found a way to give back by donating our work, while also raising awareness for ongoing recovery efforts,” shared Naomi, a graduate student in the LSU School of Art. Past visiting artist Ayumi Horie donated works to the Clay for Louisiana fundraiser. From San Francisco to Nairobi, our alumni work all over the world, serving as role models for future generations of artists and designers. Many are nationally renowned professionals in their respective fields, while others followed a less traditional path. Remarkable alumni are pushing the boundaries of art and design. Weâ&#x20AC;&#x2122;ve watched them go from interior design to PIXAR, refugee to architecture major to lawyer, graphic design to VP of marketing for one of the largest car manufacturers in the world, Venezuela to landscape architecture to American business owner, physics to art history to art consultant in Paris, and international aid to landscape architecture to playground design in war-torn and conflict countries. In the pages ahead, we share the stories of these extraordinary alumni who didnâ&#x20AC;&#x2122;t just learn it; theyâ&#x20AC;&#x2122;re living it. Meredith Hom is a department manager at PIXAR, where she is currently working on their new 3D animation, Coco. © Disney • PIXAR. All rights reserved. GRACIA MARIA SHIFFRIN, BArch 1984 Gracia Maria Shiffrin, FAIA, architect and lawyer, is currently an asset resolution specialist for the U.S. Department of Housing & Urban Development for the Greater Chicago Area. Over the past two decades, as a nonprofit developer, housing provider, and municipal funder, she helped provide housing for seniors, the homeless, veterans, and the disabled. While deputy chief of staff for the Office of Mayor Richard M. Daley, she led a multi-departmental effort for the protection of historic water tanks and guided collaborations with important civic institutional partners. As assistant commissioner for the Chicago Landmarks Commission, she leveraged more than $315 million to further various historic preservation projects. As city attorney, she provided legal counsel for the financial transactions of several city departments, such as Housing, Planning & Development, Human Services, and Budget. Jeremy Tucker takes on the galaxy with Nissan’s ad campaign for the new Rogue. The newly revised 2017 Nissan Rogue compact SUV is the centerpiece of the fully integrated campaign that features Star Wars–themed TV ads, social, and experiential content. Upon arrival to this residence designed by Lewis Aqüi, guests are greeted by a striking courtyard with water feature and sculptural accent plants. The very simplicity of the monochromatic planting palette highlights each impactful splash of color throughout the garden. Christina Heflin consults with her clients all over the world, including Bangkok, where she tried a durian fruit for the first time. KARLA CHRISTENSEN, MLA 1994 Somalia. Colombia. Indonesia. Sri Lanka. Albania. Bosnia-Herzegovina. Karla Christensen’s 12 years of international experience managing programs in education, youth development, sports and recreation, community-based conflict prevention, reconstruction, and rehabilitation spreads across numerous post-disaster and conflict countries. Inspired by her father, an original 1961 Peace Corps volunteer, Karla always knew she wanted to work in international aid. After she received her BA in International Relations from Tulane, she joined the Peace Corps and spent two years volunteering in Costa Rica. Enjoying her work facilitating community-built projects such as public parks and playgrounds, she was advised to pursue a master’s in landscape architecture. She chose LSU because of the program’s high national ranking. After graduating from LSU, she spent a year in Malta as a Fulbright Scholar and landscape designer for the Government of Malta’s Department of Tourism, and she designed and constructed family “edutainment” centers and children’s play gardens for parks, schools, and child-care facilities in Kansas City. But she missed working abroad. By networking at a Returned Peace Corps Volunteer Conference, she landed a position with the American Refugee Committee. Three weeks later she was in Bosnia-Herzegovina, where she helped build almost 250 playgrounds and sports fields in little more than a year. Karla continued working in war-torn and conflict countries for several non-profits. She managed a $1.6 million grant funded by USAID and Catholic Relief Services in Tirana, Albania, following the Kosovo conflict, completing the reconstruction of 21 schools, sports fields, and playgrounds with full community participation. Post-tsunami in Aceh, Indonesia, she managed a $5 million grant funded by the American Red Cross and Mercy Corps, completing the rehabilitation and construction of community-based projects including schools, roads, bridges, parks, and playgrounds. Karla Christensen is a certified playground inspector and often introduces U.S. playground safety standards and new technologies in her projects. Left: Using local materials and resources, Karla’s playground in Banda Aceh, Indonesia, includes a six-meter-long fiberglass slide, boulder caves, and a concrete monitor lizard. New York architect and LSU classmate Skip Boling (BArch 1979) and I made the climb up this northwestern flank of the Appalachians to locate the specific site just above West Point in the heart of the Hudson Highlands. With its views due north up the Hudson River framed by thousands of acres of state parks and forest preserves, this design is just one of many of Wright’s unbuilt, and as yet unstudied, projects. Here, a climb up the mountain road to a small level shelf partially defined by an existing cleft in the rock face provides a setting for his careful unfolding of the panoramic vista across the northern sky from west to east. The ways in which the various parts of the residence are related to specific aspects of the views, the sequence or narrative of discovery, the dynamic topography, and the changing light of the day, each giving way to another while always placing you in the larger context, is something I find remarkable about these later works of Wright. As very few of these residential designs were built, they remain largely unknown. The recent transferal of the 30,000-plus drawings from the Frank Lloyd Wright Archive at Taliesin West outside Phoenix to Columbia University’s Avery Archive has made these materials much more accessible. The upcoming exhibition of his work at the Museum of Modern Art celebrates this accessibility and its potential impact on Wright studies. Avery Architectural & Fine Arts Library, Columbia University, New York) © 2016 Frank Lloyd Wright Foundation. All rights reserved. to address contemporary issues in four areas of specialization: (1) history and theory of material culture, (2) environmental policy, (3) fabricative materials and technology, and (4) museum studies. The 60-credit-hour program encompasses six semesters of study and 45 hours of new course offerings specific to the curriculum and its advanced nature, mostly devoted to individual, supervised research, requiring students to work one-on-one with faculty. Students will share a common core of seminars on cultural preservation and research methods while the curriculum for each specialization includes allied subjects and special requirements to ensure robust cross-disciplinary study. “The Doctor of Design in Cultural Preservation is a landmark in the history of the College of Art & Design,” commented Dean Alkis Tsolakis. 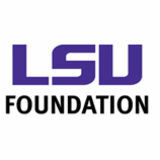 “The program’s support from the LSU Office of Academic Affairs and approval by the Board of Regents show recognition for the unique importance of Louisiana’s culture and the role of our college in the stewardship and preservation of the state’s unique heritage.” Visit design.lsu.edu for more information about the program. identity as each student acknowledges the design decisions they are left to make: Where should cross-sections be present? How accurate should they execute details in each cross section? How do they solve problems (intersections) with the assembly system resulting from the position of their appendages? The use of recycled cardboard has a less altruistic purpose than you might think. The freedom, or loss of inhibition thanks to the abundance of free material, allows for ripping apart and rebuilding with reckless abandon. By the time we gather for the last time on this first day, students acknowledge a marked improvement due to conscious design decisions and the exponential improvement of craftsmanship. Already they can see the impact that each revision has on the quality of their work. During each peer review, a strict narrative is given to the students to use when playing the critic. “What is the strength of this work?” and “What takes away from that strength?” These questions volley the role of the critic back to the author, establishing a foundation of reflective self-critique. Kris Palagi is an assistant professor of architecture at LSU. His scholarship focuses on beginning design pedagogy, specifically exploring the poetics and environmental impact of materials by challenging the logic of assembly. advancing the classical tradition in architecture, urbanism, and the allied arts. ICAA Louisiana celebrated its launch with a lecture and drawing workshop. The LSU College of Art & Design partnered with ICAA to provide workshop space and scholarships for interested students. has two adult children, Kyle and Kathryn. Ken Thrasher, BArch 1984, is president of Sy Richards, Architect Inc., where he has worked since November of 1986. He became a stockholder and officer for the company in 1993 and the sole stockholder in 2009 at the retirement of Richards. Ken’s work has included the design and creation of construction documents for institutional projects with a focus on educational assignments. Associate Professor Judy Byrd Brittenum, MLA 1986, retired from the University of Arkansas on June 1, 2016. 101 Sketchbooks Marcus McAllister, BFA 1991, of Little Rock, Arkansas, started his first sketchbook as a painting and drawing student at LSU. Now on his 101st sketchbook, he has dual French–American citizenship and is a full-time professional artist who has lived in Paris for more than two decades. His artist’s practice is centered on his sketchbooks. For more than 20 years, he has carried a sketchbook with him wherever he goes, using it as a tool for pulling order from chaos. The sketchbooks help him organize random information, digest experiences and memories, ideas and imaginings. “The process secretes meaning,” Marcus noted. “I use the individual pages as a template for paintings on canvas. My idea is not to copy the pre-existing drawing, but to use it as a map for exploring formal possibilities of scale and matter.” Marcus’s acrylic paintings are developments and expansions of the sketchbook-generated ideas. His paintings present dreamlike depictions of figures, characters, animals, and cities. Sometimes there are recognizable forms and places painted from life or memory; other times the depictions are more symbolic and abstract. Marcus’s characteristic style combines fine art, illustration, and mysticism—qualities that transcend time and setting. Marcus had two exhibitions in Paris last fall: Traverser les rêves, trouver les ponts at the Galerie de Buci showed his recent large paintings, telling stories of men transforming into birds and back again; Galerie Polysémie exhibited Marcus’s 7600 Drawings, focused on his recently finished 100th sketchbook. Marcus’s work will be shown at the Baton Rouge Gallery March 1-31, 2017, in an exhibition titled, Spontaneous Order. key area of expertise lies in detailing and product specifications. His recent projects include the LA DOTD Traffic Management Center & Regional Planning Commissions headquarters building, Tulane University’s Turchin Baseball Stadium, and St. Charles Parish School’s recreation facilities. Ken also heads the firm’s Intern Development Program. Karla Christensen, MLA 1994, was named the development, outreach, and communications specialist for USAID’s Somalia Field Office in Nairobi, Kenya, where she produces and disseminates public information about the U.S. Mission to Somalia’s foreign assistance activities that range from education, stabilization, democracy and governance, and economic growth. Department projects in five geographic regions, including three new embassy compounds, two existing embassy expansions, two new consulates, two Chief of Mission residencies, and seven Marine Security Guard residencies. In October 2016, Peter Spera III, BArch 2000, realized his lifelong dream of starting an architecture firm by cofounding GOATstudio, a New Orleans based, interdisciplinary design office offering clients consulting and design services in architecture, interiors, and branding. Peter was formerly a senior associate at Manning Architects in New Orleans. Danos, BLA 1990, is serving as the board’s ASLA representative. Kathleen Stites, MLA 2001, is trail planner/ landscape architect II at the Recreation and Park Commission for East Baton Rouge Parish, BREC. graphic designer for Tulane University’s Editorial & Creative Services, where she had been since 2007. Jack is a licensed landscape architect and project manager with Torre Design Consortium. He has also taught as an assistant professor at LSU. The couple resides in New Orleans with their two dogs. Ross Knazs, BLA 2005, is the co-owner and lead landscape architect of L&L Landscaping. He began his career as a designer and project manager for a landscape architecture and planning firm in southern California after serving his country honorably for seven years of active duty in the United States Navy. He has managed and collaborated with team members on over 100 projects including sports complexes, urban parks, dog parks, private residences, apartments and condos, commercial properties, streetscapes and medians, campus master plans, golf courses, and wetland mitigation and rehabilitation projects. Adam McGovern, BLA 2005, is a project manager at EHAR, Inc., in Houston, Texas and a registered landscape architect in Texas and Louisiana. As project manager with the firm, Adam is responsible for managing landscape architecture projects from conceptual design through construction observation. He works closely with the multiple disciplines at EHRA, including public infrastructure, transportation, hydraulics and hydrology, land planning and development, surveying, and construction phase services to serve city, county, state, and other governmental agencies along with private single-family, retail, and commercial development clients. design department through marketing and business development. Henry David Louth, BArch 2007, is a computational designer at Zaha Hadid Architects, London, as part of the Computation and Design (co|de) Research Group. Since 2007, he has worked professionally on various project types, installations, and exhibitions across the U.S. and Europe. Henry’s research speculates on curved crease folding construction applications, ruled and developable constraint based solving, and intuitive approaches to material optimization. Currently, he is a project team member on the London Science Museum Mathematics Gallery and the Volu Dining Pavilion, unveiled at Design Miami 2015. Rebecca Mock Hargrove, BFA 2008, was recently hired to provide commercial interior design services at Somdal Associates in Shreveport, Louisiana, along with fellow LSU College of Art & Design alumnus, Billy Hargrove, BArch 2009. Rebecca also owns a stationery and branding business/home studio in Shreveport. Billy, principal of Somdal Associates, has over 10 year of professional experience, including healthcare and athletic facilities, residential and commercial projects. One of the younger healthcare designers in Louisiana, Billy has worked with health and wellness administrations to define their programs and help them create more efficient facilities and campuses. After working in Baton Rouge and New Orleans right out of school, he received his professional licensure and moved back to his hometown of Shreveport. Logan Ledford, BID 2009, has been commissioned for paintings this year from New York to Los Angeles. She showcased a piece at the Ogden Museum of Southern Art for their Magnolia Ball. She was featured in Garden & Gun, the New Orleans Advocate’s Adore magazine, and the English Room blog. She participated in collaborations with Colleen Waguespack’s, BID 1997, company, Fig & Dove, as well as the Royal Sonesta Hotel New Orleans. She recently moved her studio into the Irish Channel neighborhood of New Orleans. Catherine Velasquez, BFA 2016, Studio Arts 1. Sketchbooks. I rarely go anywhere without my sketchbook. Into it goes all my written and sketched ideas. 2. Rolling pin. I always feel like a baker when using this tool to evenly compress and rollout slabs of clay for hand-building mugs and tiles. 3. Stamps. Charming and super handy, these letter stamps help keep test tiles organized. my preferred method of surface treatment, once it has separated into its finer particles. 7. Stains. Lovely colors can be put into any clay, slip, stain, and terra sig for added vibrancy. 8. Measuring cups. Basic cooking items are extremely helpful (especially since math is not my forte) in finding the right measurement of mason stain to add to slip and terra sigillata. 9. Brushes. This is the start of what I hope becomes quite an expansive collection. 10. Knives and trimming tools. The fettling knife has many uses from trimming edges to using the handle to compress hard-to-reach seams. Trimming tools are used to carve away excess clay to create â&#x20AC;&#x153;feetâ&#x20AC;? on thrown vessels, as well as for the basic removal of clay. 11. Thread. A different approach to adding pops of color throughout sketches and paintings. 12. Green tool. A small but effective (and perfectly colored) tool to clean up edges. 13. Watercolors. These beauties are used to capture soft pockets of light and changing plane in my sketches. It helps grant me a better idea of what I am looking for in the surface of my work. Visit design.lsu.edu/lectures for an up-to-date schedule.